OKLAHOMA CITY — Jimmy’s Egg® LLC, launched its new Toasted Marshmallow iced coffee and decadent S’mores Hot Chocolate this season at participating locations. 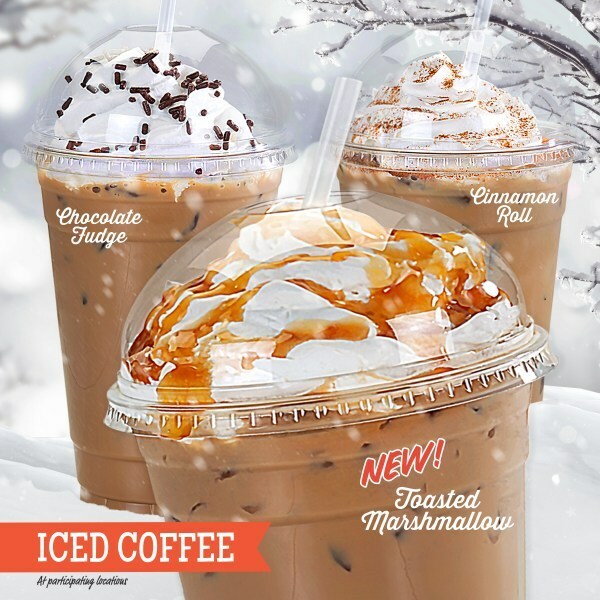 The Toasted Marshmallow Iced Coffee is part of the new iced coffee lineup introduced this past summer that includes three additional flavors to choose from including Cinnamon Roll, Chocolate Fudge and Original. We continue to evolve our menu and offer a variety of unique and traditional breakfast items and beverages like the iced coffees and flavored hot chocolate. “We are excited to continue expanding our menu and focus on items we know our customers want,” says Kevin Burke, President of Jimmy’s Egg®. Jimmy’s Egg partners with suppliers dedicated to providing quality products to create delicious menu items for the brand. Iced Coffees created with Monin® Gourmet Flavored Syrups, Tropicana® Pure Premium Orange Juice and S&D Gourmet Coffee are just a few examples of products used to create a beverage category to satisfy everyone. SANTA CLARITA, Calif. — FirstLight Home Care, an award-winning provider of non-medical home care, announced today it will open a new location in Santa Clarita, California in 2019. FirstLight Home Care is a top rated non-medical home care provider with a network of offices that provides more than 100,000 hours per week in care for more than 4,800 clients in over 34 states. 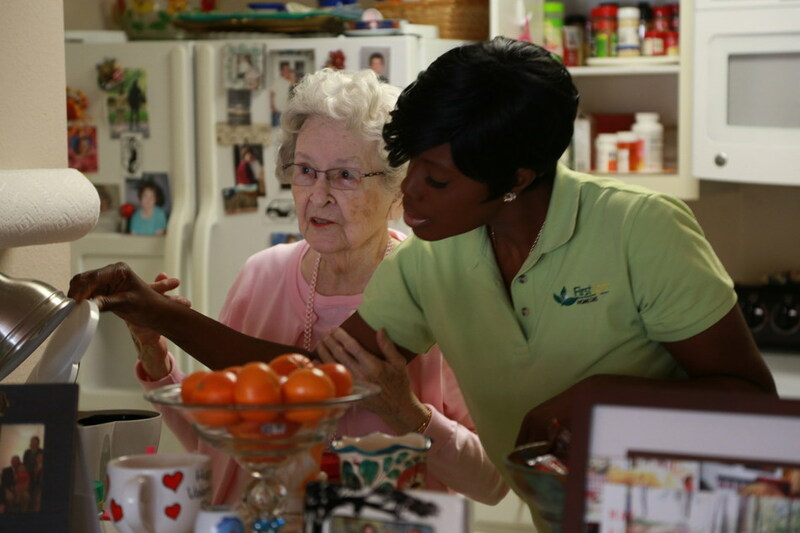 The company has created a new standard in home care by combining best practices with innovative approaches to make them an emerging market leader in a rapidly-growing industry. 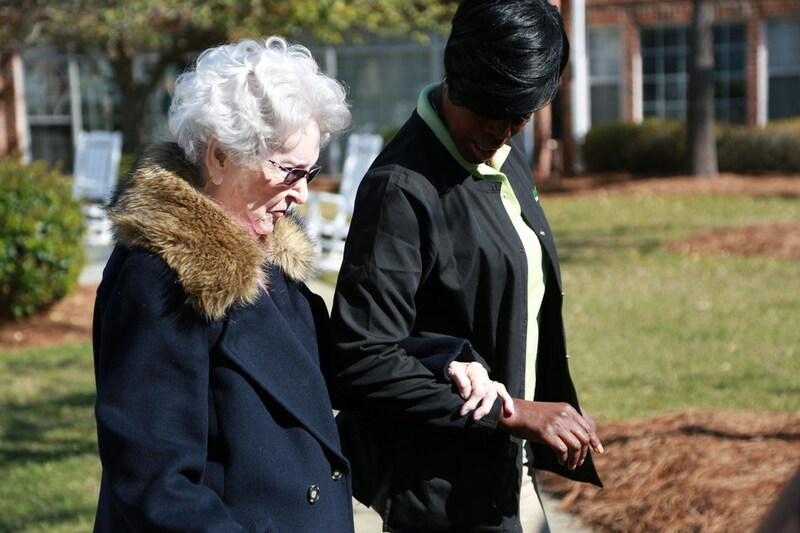 Their 4,700 caregivers provide companion and personal care services at private residences, assisted living and retirement communities, nursing homes, adult-family homes and group homes. 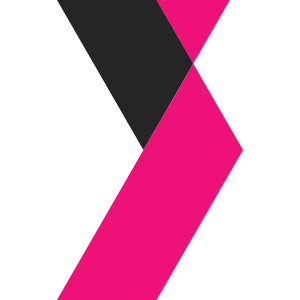 Clients include seniors, new mothers, and individuals recovering from surgery, veterans, adults with disabilities and anyone 18 and over who might just need a little extra care or assistance. SCOTTSDALE, Ariz. — Assisted Living Locators, a leading senior placement and referral franchise, announced today it was named one of the top 100 Game-Changer Franchises of 2018 by Franchise Directory Magazine. Franchise Dictionary Magazine is the guidebook for those interested in learning more about franchise opportunities across the country. “Franchise Dictionary Magazine loves to recognize franchises that create opportunities in exciting and lucrative ways and our ‘100 Game-Changer’ issue did just that. We recognized brands in several categories and Assisted Living Locators received a Game-Changer Award in the category of ‘Creating Opportunity.’ The elder-care market requires a ‘high touch’ business model and promises to grow. This free placement service assesses the needs of your elderly loved ones and then helps you find the community or home where they can get it. For franchisees, the company offers financial stability, consistent growth and brand power,” said Alesia Visconti, Publisher & CEO, Franchise Dictionary Magazine. In 2018, Assisted Living Locators exceeded its 100th franchise mark. The company broke into the triple digits after a decade of consecutive growth, including an unprecedented franchise recruitment rate over the past two years. As the first senior placement and referral franchise business in the U.S., the company has pioneered its way to a national presence with 105 franchisees in 33 states and the District of Columbia. Assisted Living Locators was ranked in Entrepreneur’s “Franchise500®” 2017 and 2018 issues and Franchise Business Review’s “2017 Top Franchises Report.” The company offers a NO COST service for seniors and their families providing expert advice on short and long-term care options, including in-home care, independent living, assisted living and memory care, and retirement apartments. 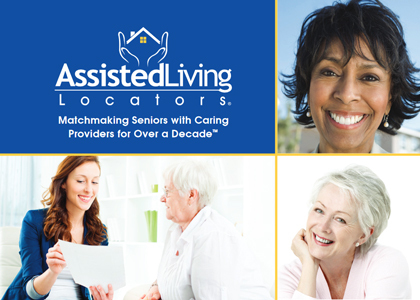 Assisted Living Locators has been matching seniors with caring providers for more than a decade. It generates revenue from the referral fees paid by the communities. HUDSONVILLE, Mich. — FirstLight Home Care, an award-winning provider of non-medical home care, announced today it will open a new location in the Hudsonville area in early 2019. The offices will be owned and operated by brothers, Jeremy and John Fellows, and Jeffrey Lamborne. The Fellows and Lamborne currently own and operate the FirstLight Home Care location in Grand Rapids. Their business success has allowed them to expand operations and open a second office to better serve Western Michigan. The new FirstLight Home Care will serve the greater Hudsonville area, including Hudsonville, Jamestown, Georgetown, and Grandville. Qualified caregivers — home health aides and CNAs — interested in FirstLight career opportunities are encouraged to email jfellows@firstlighthomecare.com. 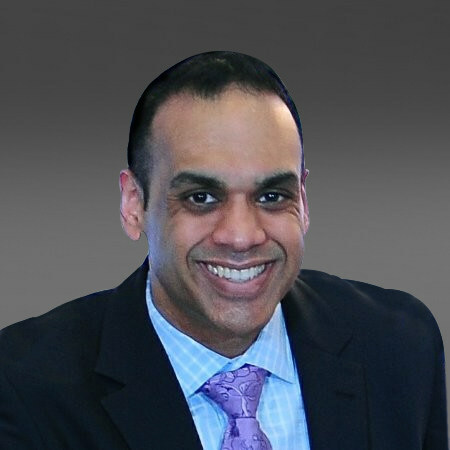 ORADELL, N.J. — Huntington Learning Center, the nation’s leading K-12 tutoring and test prep provider with more than 300 locations nationwide, announced today that Anderson Chand has been named senior vice president of franchise development. Chand has spent the past 20 years in both franchisor and franchisee roles and will use his wealth of expertise to help the company to double the number of centers over the next few years. Most recently, he was the chief operating officer for Popbar, a frozen dessert franchisor that has locations in the U.S., Canada, Panama, Portugal, Singapore and Russia. He has also been responsible for nearly 1,200 franchise units as senior director of operations for Edible Arrangements International for the U.S. and Canada. Chand started his career on the franchisee side with food and beverage providers in airports including Taco Bell, KFC and Pizza Hut. Founded in 1977, Huntington Learning Center began franchising in 1985 and today has 300 locations nationwide. Huntington Learning Center offers competitive initial franchise fees and total upfront investing, as well as franchise financing options, flexibility through part-time startup and comprehensive training and support for franchisors. Huntington Learning Center is the nation’s leading tutoring and test prep provider. Its certified teachers provide individualized instruction in phonics, reading, writing, study skills, elementary and middle school math, Algebra through Calculus, Chemistry and other sciences. It preps for the SAT and ACT, as well as state and standardized exams. Huntington programs develop the skills, confidence and motivation to help students succeed and meet the needs of Common Core State Standards. Huntington is accredited by Middle States Association of Colleges and Schools and Western Association of Schools and Colleges. Founded in 1977, Huntington’s mission is to give every student the best education possible. PLYMOUTH, Mich. — Alliance Franchise Brands LLC, a world leader in marketing, print and graphic communications, announced the acquisition of RSVP Publications by its wholly-owned subsidiary, Allegra Holdings LLC. RSVP Publications is a direct mail advertising company reaching over seven million homes in more than 70 U.S. metro markets. RSVP Publications, based in Tampa, Fla., joins the Alliance Franchise Brands network of brands that include marketing and print providers Allegra Marketing Print Mail, Insty-Prints, KKP and American Speedy Printing, and sign and graphics providers Image360, Signs By Tomorrow and Signs Now. For over 30 years, RSVP Publications has delivered on their proven concept of “Direct Mail to the Upscale” through luxury card packages. 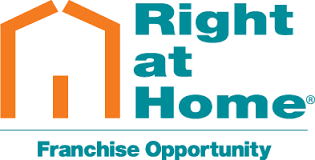 RSVP franchise members target higher-end businesses with residential advertising opportunities. 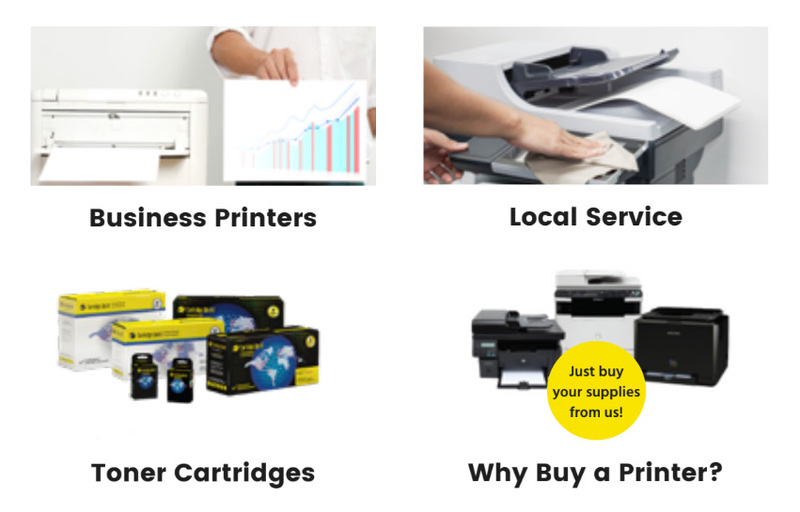 Independently-owned and operated franchises provide national, regional and local businesses and organizations with a one-stop resource for technologically advanced and strategically sound solutions for their graphics communications needs under the Allegra Marketing Print Mail, American Speedy Printing, Image360, Insty-Prints, KKP, Signs By Tomorrow, Signs Now and Zippy Print brands. 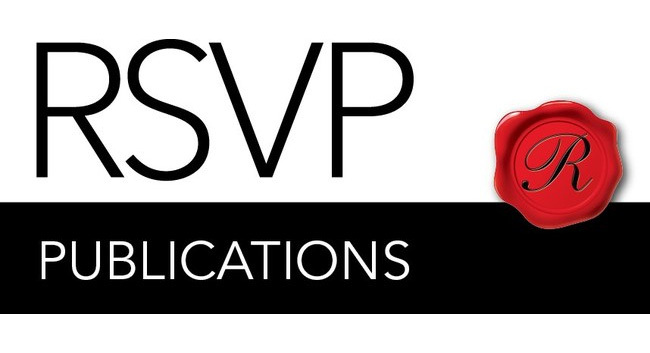 RSVP Publications is one of the largest direct mail advertising companies in the United States. Franchise locations deliver on the proven concept of “Direct Mail to the Upscale” through luxury card packages. LANCASTER, S.C. — FirstLight Home Care, an award-winning provider of non-medical home care, announced today it will open a new location in Lancaster, South Carolina in 2019. For those looking to win the gift of a clean home and a Roomba®, simply “Like” the Molly Maid® Facebook® page at: https://contest.app.do/molly-maid-holiday-giveaway and complete the required Entry Form for your chance to win. All entries for the “Holiday Clean Home Giveaway” should be entered beginning Tuesday, Dec. 11, 2018 and will be accepted through Saturday, Dec. 22, 2018. One lucky grand prize winner will receive with a Roomba® and a $250 Molly Maid gift certificate to celebrate the season. Three second prize winners will each receive one $250 Molly Maid gift certificate to be used at participating independently owned and operated U.S. Molly Maid franchise locations. For more information, view the Official Sweepstakes Rules on the contest entry page. Molly Maid LLC, a Neighborly® company, is a residential cleaning franchisor whose independently owned and operated franchisees clean more than 1.7 million U.S. homes annually. Franchising since 1984, there are more than 480 independently owned and operated Molly Maid® units operating in the United States. 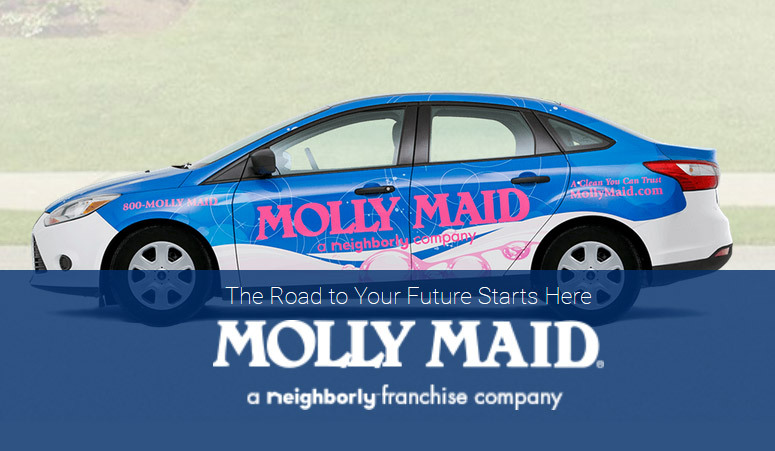 Acquired by Neighborly® in 2015, Molly Maid is part of a community of home service experts, leveraging Neighborly’s nearly 3,500 professional home service experts across 14 brands in the U.S. and Canada with a unique direct service function that provides consumers assistance with nearly all aspects of their home care needs. Neighborly brands include: Aire Serv®, Five Star Painting®, Glass Doctor®, Portland Glass®, Molly Maid®, Mr. Appliance®, Mr. Electric®, Mr. Handyman®, Mr. Rooter®, Protect Painters®, Rainbow International®, Window Genie®, Mosquito Joe® and The Grounds Guys®.